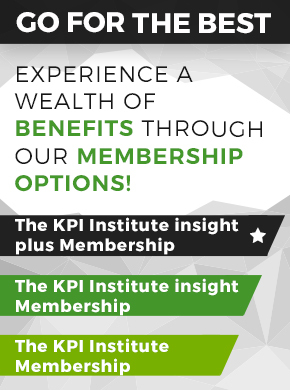 The KPI Institute is a leading global research institute specialized in business performance. It operates research programs in 12 practice domains, ranging from strategy and KPIs to employee performance and from customer service to innovation performance. Insights are disseminated through a variety of publications, subscriptions services and through a knowledge platform available to registered members. Support in deploying these insights in practice is offered globally through training and advisory services. The KPI Institute is considered today the global authority on Key Performance Indicators (KPIs) research and education. 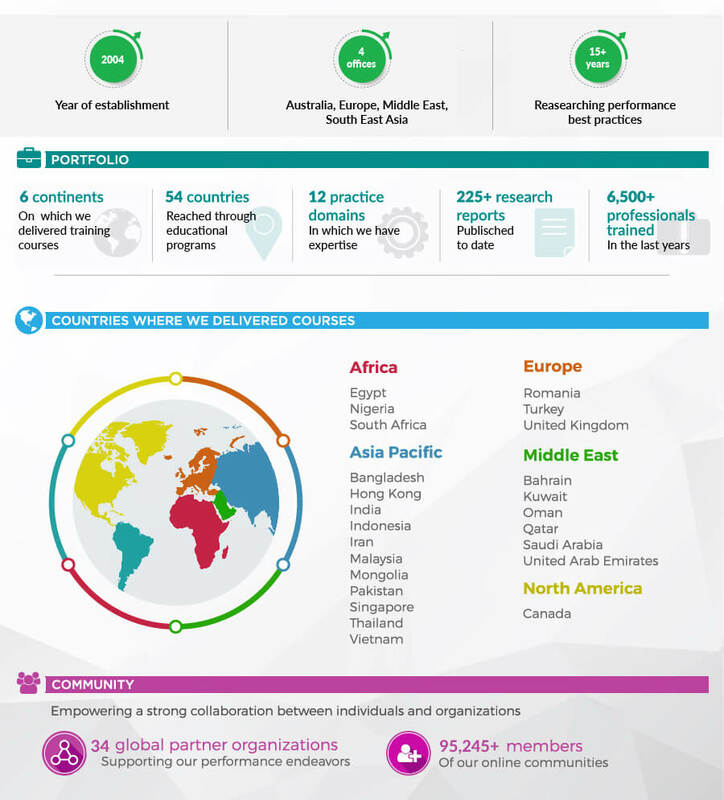 It developed the first KPI Management Framework and operates www.smartKPIs.com, the result of the research program dedicated to documenting and cataloguing how KPIs are used in practice, an online portal containing the largest collection of documented KPI examples. Multinationals, government agencies, academic institutions, non-profit organizations and individuals all turn to us for insights and performance improvement solutions. Therefore, we’re committed to building powerful products, delivering exceptional services, providing best practice resources and growing a vibrant user community.